and more more more! It’s gonna get crazy! 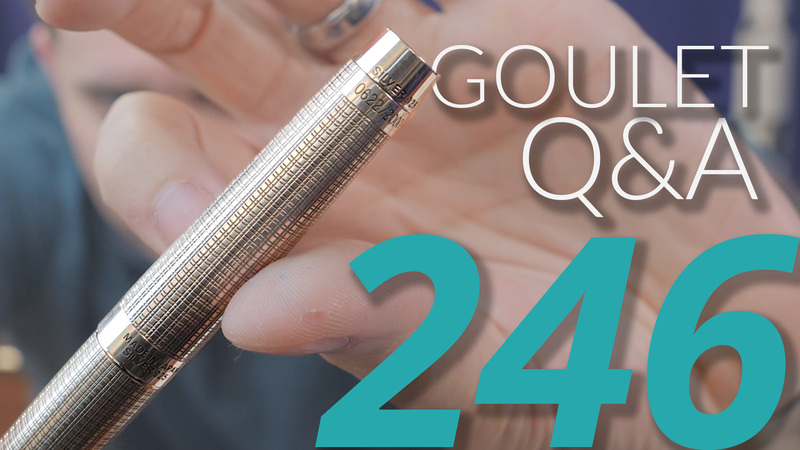 What would you say is more popular nowadays, in the current fountain pen climate? 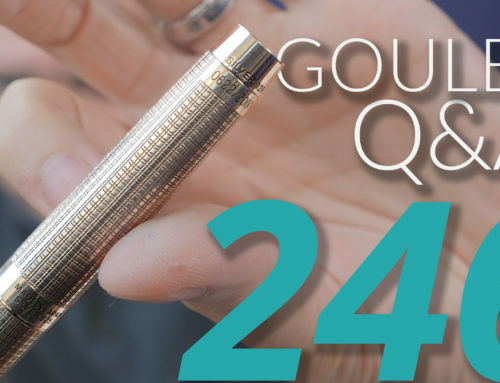 A classic black, cigar-shaped, understated pen? Or one that makes a louder design statement? ink syringe is your friend! you can remove the nib and fill right into the pen, or use the “syringe filling method”, which is super easy with the GO! 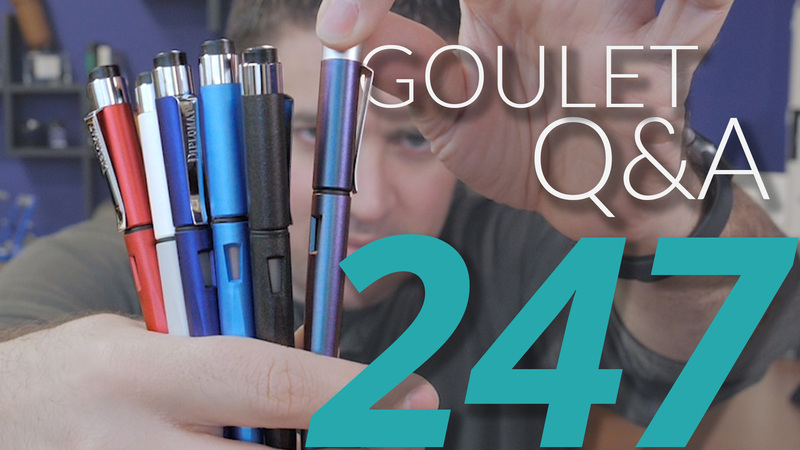 I have a few beautiful fountain pens from Goulet Pen Co and a few that were given to me as gifts. I want to learn to fill them and clean them. However, I am hesitant to teach myself through YouTube videos because I don’t want to damage them. I would prefer to learn from someone in person. I’ve researched but haven’t yet found anyone in my area who can teach me. Do you have any recommendations? 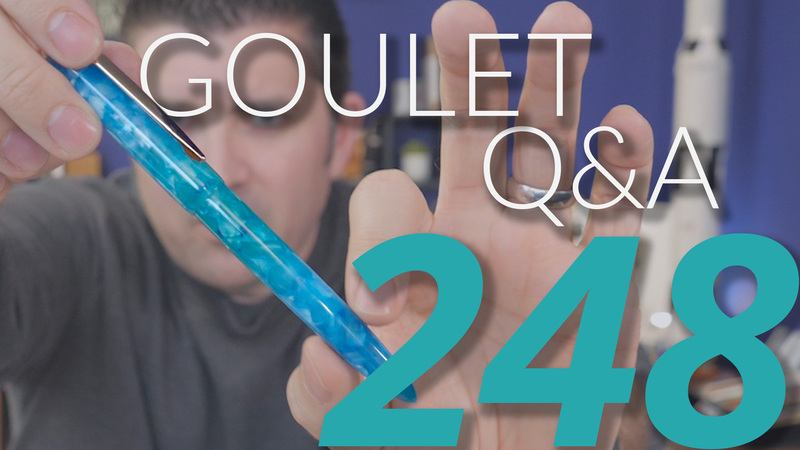 ask around your family and friends and see if anyone knows fountain pens at all, they might! I’m one of those in love with almost anything rose gold. 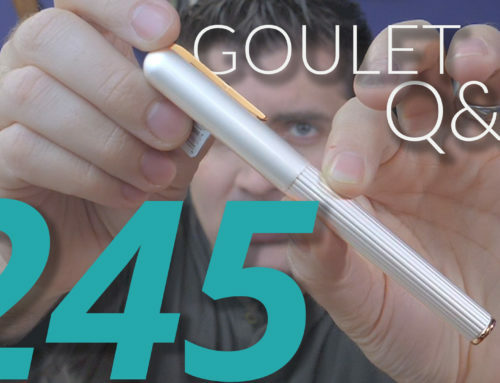 Will we ever see a pen with a rose gold nib? All not cheap pens, these are all gold nibs, but they’re there! Firstly, Brian, it was great to meet you and Drew at the DC pen show- my first! My question is for pen maintenance, especially piston-fillers. As new to FPs, I am cautious about dismantling, but it takes forever to clean a piston filler. I miss the bulb syringe speed I can use on converter pens. Any suggestions? This is where C/C pens really shine! use your judgement, but basically you have what you have and you’ve gotta deal with the laws of physics! Any plans on carrying any small operation boutique pens? oh sure, we love boutique operations! it takes so much to get it all right, and distribution through any retailer, let alone one like us with a fairly large reach, could do more harm than good if a boutique company isn’t ready for it! 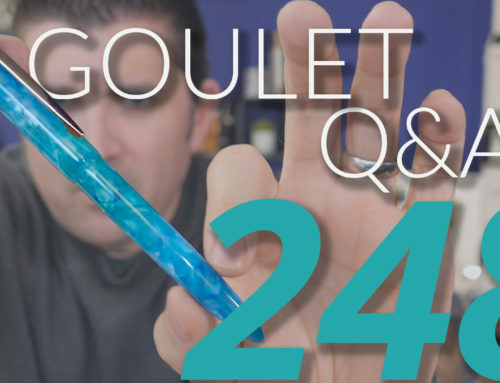 How does Goulet decide what pens to have on hand or keep in stock? For example: Faber-Castell makes an Essentio in Black Aluminum. There is also version of the Essentio in Black Carbon (which I’m interested in). 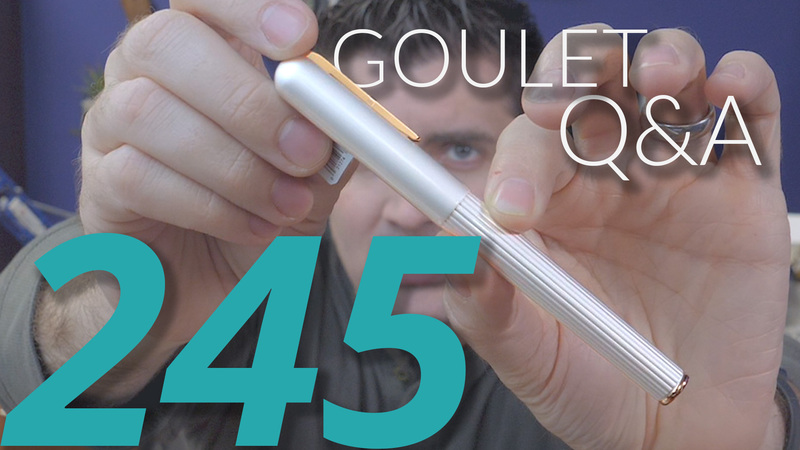 Goulet only has the aluminum listed as an option. Thx. this is as much art as science! your feedback means a lot, so ask my team when there are colors/options for existing brands/models you want to see us carry! What do you say to somebody who says “oh I could never write with a fountain pen.”? it’s all about personal invitation, and making people understand it’s not magic, and it really is quite natural and organic to write with a fountain pen!